Our previous findings led us to postulate that the formation and maturation of synapses and dendritic spines, the mushroom-like protrusions that receive excitatory synaptic contact, are not entirely neuron-intrinsic processes. 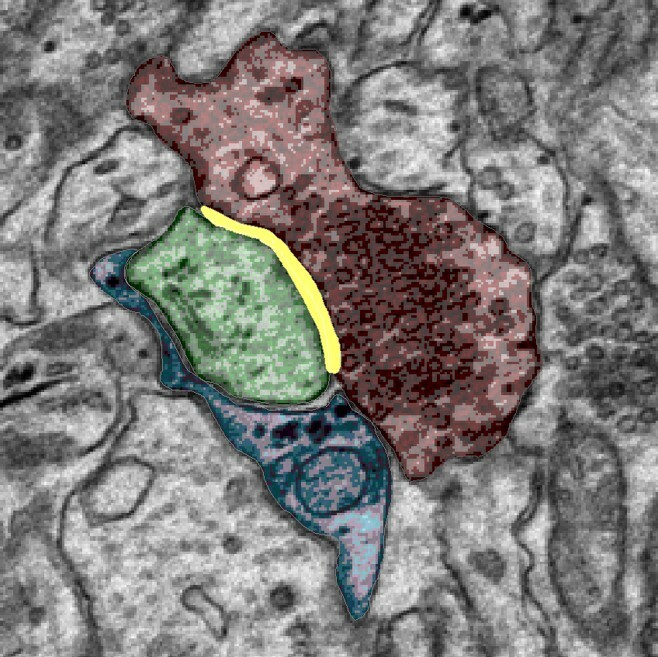 Using a wide array of techniques including transgenic mouse lines, in vitro and ex vivo culture systems, and three-dimensional reconstructions of spines and synapses in the mouse brain at the highest level of resolution, we have determined that multiple stages of synaptic development are highly regulated by astrocytes, the most abundant glial cell type in the brain. Going forward, we believe that understanding the complex relationships between astrocytes, spines, and synapses will be key to forging new therapies for brain disorders characterized by aberrant synaptic connectivity, including autism, schizophrenia, and addiction. Dr. Risher is honored to be awarded a 2018 NARSAD Young Investigator Grant from the Brain and Behavior Research Foundation. This 2-year award will focus on potential disruptions in astrocyte-driven synaptic development in Neonatal Abstinence Syndrome (NAS). This condition, in which newborns suffer from withdrawal after being born to mothers who abused opioids during pregnancy, has seen a significant increase in incidence in West Virginia and Central Appalachia in recent years.